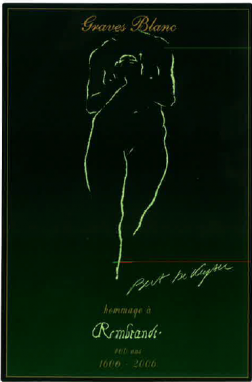 Label The painter Bert de Keyser immortalized Bertrand Braneyre’s Graves Blanc with Rembrandt’s timeless drawing. Produces an elegant and powerful wine, high in alcohol, of a wonderful golden yellow, with low acidity. Frequently paired with sauvignon. Medium-sized, cylindrical, compact, winged bunches with medium-sized, spherical, golden white grapes which can even become pinkish when fully ripe, thick skin, very juicy with a light Muscat flavour. A dry white wine, very aromatic and perfumed, elegant, very fine, balanced, musky. Small, truncated, compact and sometimes winged bunches, small, oval grapes which are golden-yellow at full maturity, thick skin and juicy flesh with a special flavour reminiscent of Muscat.